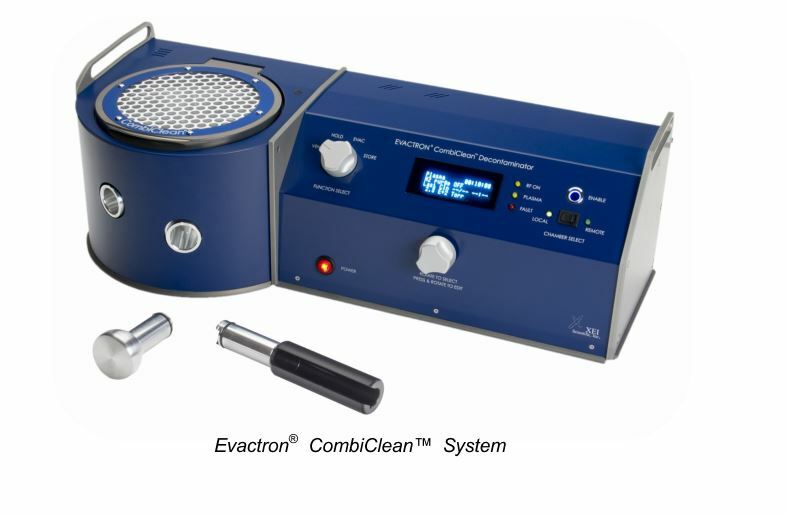 Evactron® Plasma Cleaners can make significant improvements to image quality and image resolution an Electron microscope. 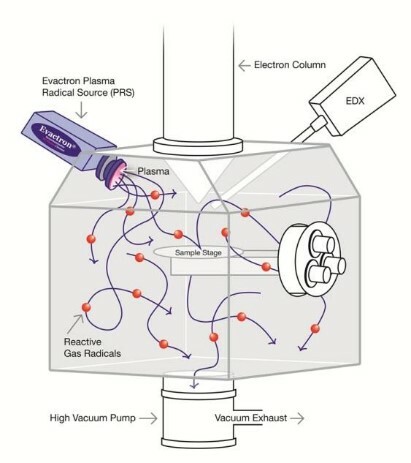 The Evactron® plasma cleaners work by generating a plasma at a Plasma Radical source (PRS) allowing Oxygen radicals to flow through a ch amber and removing any unwanted hydrocarbon contamination. The radicals chemically react with the hydrocarbons C02 and H20 which are then pumped out of the system. For more information on Evactron® plasma cleaners, or request a quote, please Contact Us. 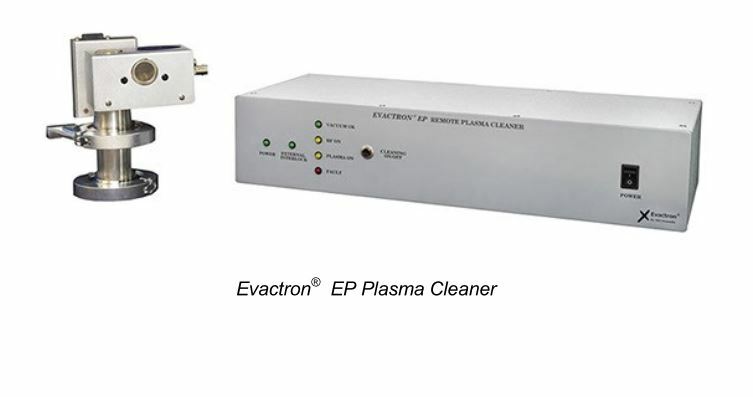 The Evactron E-Series De-concontaminators are compact, high performance yet simplified plasma cleaners for Electron and Ion Beam Instruments such as SEMs, TEMs and FIBs. The E-series delivers cleaning with simplicity for higher resolution and contrast imaging plus improving detector and probe sensitivity that are compromised by contamination. For more information or a request a quote on the E-Series De-contaminators, please Contact Us. 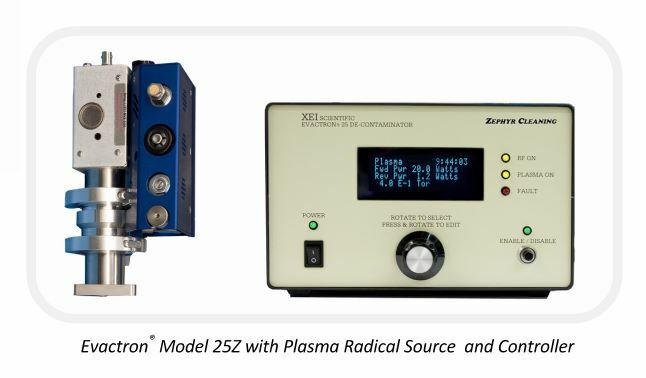 Evactron® ZephyrTM Model 25Plasma Cleaner. For more information on the Evactron Zephyr plasma cleaner or request a quote, please Contact Us. 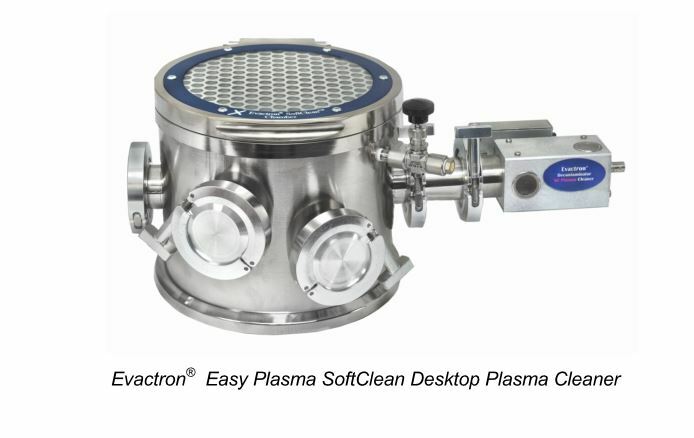 The ultimate in flexibility, the Evactron® Easy Plasma SoftClean (EPSC) combines the Evactron® EP remote Plasma De-contaminator with the Evactron® SoftClean chamber, creating an easy to use chamber and desktop plasma cleaner. It can also be used as a specimen storage system, keeping samples in a contamination-free environment. For more information on the Easy Plasma SoftClean or request a quote, please Contact Us. 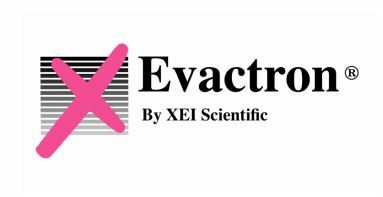 Evactron PRS uses energy efficient capacitive coupled plasma rather than wasteful inductively coupled plasma to avoid energy loss through heat generation. For more information on the Evactron® CombiClean System or request a quote, please Contact Us.